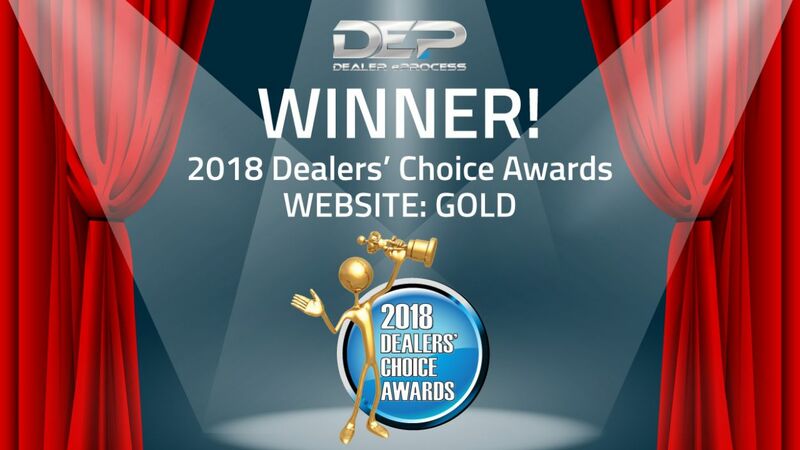 Dealer eProcess is proud to announce that it has earned a Gold award in the Website category from Dealers' Choice Awards! This award is especially exciting since it comes as the direct result of votes from dealers around the country. LISLE, Ill. - July 9, 2018 - PRLog -- This is the 14th annual Dealers' Choice Awards. The awards are based on a survey sent each year to readers of Auto Dealer Today, F&I, and Showroom publications. In order to participate in the survey (sent May 1-31, 2018), voters had to be verified dealers or dealership personnel. They were then asked to provide their top choices for everything from vendors and trainers, to finance companies. Additionally, they were asked to rate the quality of the customer service they received from Dealer eProcess and whether or not they would recommend us to another dealer. These ratings and scores were tallied together for each category with the top three dealers receiving awards. "We are thrilled to receive this recognition for our website work in the automotive space," said Joe Gillespie of Dealer eProcess. "We truly believe that providing a valuable service to our customer begins with creating an atmosphere where employees are genuinely happy and excited about where they work and what they do." All award winners will be listed in the Q4 issue of Auto Dealer Today and awards will be presented during a special ceremony at the Industry Summit in October 2018. A full list of awards can be found here. To learn more about our award-winning website services (https://www.dealereprocess.com/awards/), contact us at Dealer eProcess today! Dealer eProcess is the industry leader in automotive websites and digital marketing. Dealer eProcess has won dozens of awards throughout the industry and is recognized by the experts as the most technologically-superior website and digital marketing solution for automotive dealers. Along with being a recognized industry leader, Dealer eProcess has also partnered with the best in the business to offer their dealers the most complete digital solution available. Dealer eProcess is a Google Premier Partner, Yahoo/Bing Select Partner, a Reynolds & Reynolds certified provider, and has partnered with numerous other industry-leading solutions including Credit Miner and eAuto Appraise. Dealer eProcess is headquartered just outside of Chicago, IL, and has offices in Washington and Arizona.